A Red Bull powered Red Bull?.. The action off the track is often as exciting as it is on it in Formula One but, never has is been as entertaining as the quite comedic antics of Red Bull recently. Simply put, I can't think of anyone that they haven't made an enemy of over the last few months. Red Bull win 4 consecutive titles with their engine partner Renault 2010-2013, along the way they have a fair few squabbles, especially surrounding the quality of certain components they supply, such as alternators. Furthermore, they continue to openly admit (via the media) that they are short on horsepower compared to Mercedes and Ferrari. Red Bull's 2009 challenger the RB5 didn't run KERS although they briefly tested it in pre-season testing, having adapted a system in-house. Newey/Marshall et al decided that the system would compromise the cars balance whilst also having an impact on aero and as their closest rival BrawnGP was without it, they too would give it a miss. However, the new regulations were designed in order to change this, with ERS to be supplied by the manufacturer only, the intent of which was to reduce costs. Furthermore, the 'Energy Stores' placement and weight are mandated by the FIA technical regulations, reducing the scope for teams to come up with radical solutions in any case. We all know how critical Red Bull have been of Renault since we entered the hybrid era in 2014, the problem is, have Red Bull been as much to blame? From the outset it is my understanding that Red Bull had another Energy Store they had developed in-house to use for 2014 that they would use, effectively forcing Toro Rosso, Lotus and Caterham to do the same if the homologation procedure was to be adhered to. However, when they arrived at pre-season testing all was not well with said ES and they had to revert to the Renault designed ES (remember those pesky cooling issues they had). The one thing that still irks me about 2014 is that all the Renault powered teams got around the homologation process, as they ran differing exhaust configurations. Red Bull understood pretty earlier on that Renault had made an error in judgement in terms of the development of the powerunit, especially when compared with Mercedes. As such they fast tracked their own solution, recruiting and placing engineers at Viry. They also championed Cyril Abiteboul, as he returned to Renault Sport F1 as managing director, in the face of Caterham's demise. This led to a restructuring and fresh eyes on the challenge at hand, with Red Bull and Renualt formulating another plan, which involved Mario Illien and his team at Ilmor. Concern had grew throughout 2014 as the Renault powerunit clearly suffered from knock, which would ordinarily resolved by a redesign of the injection and combustion process. However the inclusion of the MGU-H only further compounds the problem, changing the way in which it occurs, leaving several pathways to a resolution. Some of the issues were mitigated by heavy development on the fuel side by Total too but, this may have only masked some of their inefficiencies. 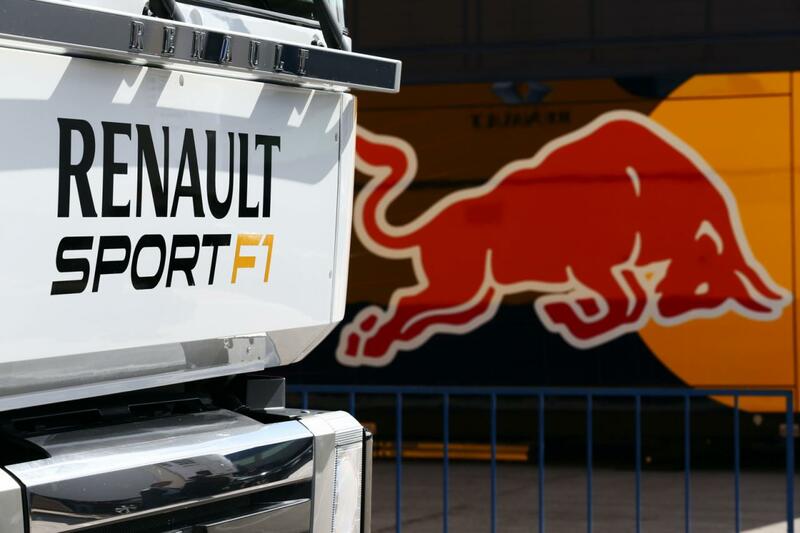 As 2015 approached Renault and Red Bull continued to invest, taking their dyno count to 24 and improving their processes surrounding the testing of batteries. Furthermore, personnel from Porsche and Ferrari were recruited as the desire to close the gap to their rivals intensified. However, as pre-season testing for 2015 got underway it was clear that Renault hadn't made the kind of progress that Red Bull was expecting, fortunately they still had a large cache of development tokens at their disposal and were investigating several development avenues. The relaxation of the homologation deadline by the FIA following Red Bull and Ferrari's protests meant that any tokens not used prior to the intended February 28th deadline could be used during the season. The specification of powerunit used at pre-season testing would be a very different one to the one to be used at the opening round at Albert Park but once again Red Bull pressed Renault for more, fast tracking a powerunit specification that for all intents and purposes wasn't ready. Not fully validated it was a risk, one that would put the trackside engineers on the back foot too and risked premature damage. As the season began to unfold it was clear that Renault were still at sea and far from a cohesive unit, meanwhile Ilmor would engage with Renault at Viry and began developing a plan in parallel with Renaults. Having come to the conclusion that the original I.C.E developed by Renault was flawed Ilmor set about developing a prototype to prove their findings. Although Renault were impressed by Ilmors findings it wasn't expected that they'd be adopted..
“It is good to work with people outside, because there is no way you can improve inside if you do not put yourself in competition but also in partnership with people that are outside. So first – it is good to get an external look, and support and feedback. Renault and Ilmor continued to work in tandem, with Ilmor continuing to work on a parallel development of the Renault powerunit as the pair assess the best way to approach 2016. However, Renaults reluctance to accept Ilmor's opposing design, the very public outcry from Red Bull on Renualts dismal performance and the potential acquisition of Lotus by Renault culminated in Red Bull seeking another powerunit supplier for 2016, even though their contract was in place until 2017. Courting both Mercedes and Ferrari, Red Bull began to cut ties with Renault, Infiniti and Total but as we now know, they weren't able to broker a deal with either. Unable to find a powerunit for 2016 they even tapped up Honda and even though they were keen it seems Ron Dennis put pay to any negotiations before they began. Afterall, even with currently the worst powerunit on the grid why would he want to give Red Bull the opportunity to beat McLaren should the Japanese marquee be able to turn things around. In any case it's probably a good thing that those two worlds didn't collide as Honda remain reluctant to take influence from outside sources and Red Bull cannot help themselves in that respect. Whilst all these negotiations were ongoing Red Bull had an ace in the hole but, it would need some manipulation from a certain pint-sized F1 supremo... Whilst the original powerunits IP (Intellectual Property) would be deemed as Renault's there is no mistaking the influence that Red Bull have had on the development of the powerunit since, with aggressive investment made. Who then owns the Renault powerunit IP? In the eyes of the FIA it was Renault who've homologated it and as such are the only ones who can use the powerunit. However, what if Mr Ecclestone was to sit down with Mr Todt and propose that Renault and Red Bull will now be parting ways, but in order to retain the latter they will use a very similar powerunit that'll diverge in specification over the course of the homologation period (2020). Todt would know that Mercedes are now at the four team supply capacity (Mercedes, Williams, Force India and Manor), Ferrari are close (Ferrari, Sauber, Haas and most likely Toro Rosso taking them to the fourth) and Honda have a gentleman's agreement with McLaren. It could be argued that F1 survived well before Red Bull and could do so long after, however, from a commercial aspect they are an asset that the sport cannot really afford to lose. As such the FIA will allow a dual programme to be established with Renault going in one direction with the acquisition of Lotus, Red Bull will forge another path with Ilmor, making the requisite changes to the I.C.E's combustion and injection elements that Ilmor require, whilst also designing and developing their own turbo configuration and ERS. As the powerunit will essentially be classed as being designed by another manufacturer they'll be free to spend their development tokens on their own terms, free of Renaults influence. Furthermore, the change in the rules that was introduced to assist Honda this season, enabling the use of 5 complete powerunits, rather than 4 per driver as the second year teams had, should carry over too. As a sweetner I'd also propose that Red Bull / Ilmor have floated the idea that they'll develop the lower cost 2.2 litre V6 turbocharged engine that Bernie and Jean are looking for. This may be a canny move from Red Bull as not only will they control the destiny of a spec style engine, financially it can assist with their own powerunit development programme. Surely it's going to cost money to develop this new 2.2 V6 I hear you say and undoubtedly it will, however, Ilmor has plenty of experience especially as their 2.2 V6 powers half the Indycar field via Chevy. Whilst Bernie and the FIA might have needed convincing so too would Renault, however, from a legal standing the powerunit became an alliance the moment Red Bull started shuffling people and money through Viry's doors, something I'm sure Red Bull's lawyers could easily deal with if needed. The sweetner for Renault is that the Red Bull / Ilmor offspring will now be rebadged as a brand from the Nissan Alliance, most probably a continuation of the Infiniti brand. Although I have more than a sneaky suspicion that had the VW emissions crisis not played out the way it did we could have seen a very different outcome... One thing that isn't yet clear though is who'll provide the fuel and lubricants, but I'm sure Red Bull can patch things up with Total if they haven't already. EDIT: Please continue to read the comments section of this article, some interesting points have been raised and I have answered what I can. Please feel free to add your own comments/questions and I'll answer what I can. Not many others have mentioned that this Illien / Red Bull bldg 9 team would be capable of perhaps supplying the low budget motor, but that thought had crossed my mind. Glad a more knowledgeable person like yourself sees that possibility. Nice analyse! Hopefuly RBR will stay. Good for F1 and especially the fans! Manufacturing costs and time allowing, wouldn't it make sense for Torro Rosso to run the new RBR power unit rather than Ferrari? More test mules on track have got to be better than dropping millions of Euros into Maranello's R&D department? Time dependancy is one of the biggest hurdles and Toro Rosso with less resources needed to move quicker to finalise a deal for 2016 otherwise their season would have been heavily compromised. It is no mean feat packaging these PU's and STR always have some radical solutions. Furthermore, think of what the RBR/Ilmor project can learn from the data even off of a year old Ferrari PU. Great article! So refreshing to read comprehensive F1 stories. Amazing article Matt, you're a credit to the F1 community. I have been following F1 in depth for many years and love the nitty griity tech side of it. I have also been following the RBR vs Renault civil war with particular interest as I haven't seen anything like this for some time: RBR the new kid on the block pumped up on steroids (re $$$) vs Renault the old slow moving behemoth. Add a bit more spice to this with the outside influences of Mario Illien and also Bernie & Jean Todt. Could you please clear a few of your points up for me? 1. You mention possibly Infiniti branding for RBR's own engine.If I recall correctly, RBR attracted Infiniti as the title sponsor at the end of 2011 start of 2012 season, off their own bat, with nothing to do with any influence from Renault directing or motivating Infiniti to sponsor RBR. I say this because I believe at the time Infiniti sponsored RBR because it was hoping/under the presumption it would get some of RBR's tech to use in their cars. Which I believe RBR didn't provide any tech freebies to Infiniti. If my supposition above is correct, I feel Infiniti will not be getting involved with engine branding if it is going to get the door slammed in the face like it has by RBR with its tech in the past. Also I feel Renault/Nissan - Infiniti do not want anything to do with RBR, regardless of how much of crack team RBR is, but will supply bare engines next year to prevent litigation by RBR for the supply of incompetent engines for the last 2 seasons. Also if these engines were branded Infiniti, it would require more sponsorship $$$ from Infiniti, as their current title deal would not cover this - somehow I believe Infiniti is not willing to cough up more $$$. 2. I know RBR/Mario are pushed for time to get this new engine ready for the first test, but this engine will be so immature they must take the significant risks with using it at STR as they need as much data as they can get asap. 3. If STR is using Ferrari's 2015 engine, and RBR are building their own, I know they can't dismantle the Ferrari engine, but they can still gain a fair bit from visual inspection - Ferrari must be seriously thinking twice about supplying STR, regardless of it being an engine with tech that is a year old, as this tech will still be very relevant in 2016. 4. The mysterious 'Building 9' at Milton Keynes. There has been a fair bit of chatter about RBR installing a VTT (virtual test track). Do you know if this is true, if it is, RBR are investing for the long term as this is a serious bit of kit. 5. Since Cosworth is down the road from RBR, do you hear/know of them doing some of the work for this engine? 6. You mention lubricant/fuel supply. I know It takes time to develop these fuels etc, but what about Cepsa, BP/Castrol or if its an Infinit engine how about a Japanese oil company? 7. Lastly. Do you see this engine project as a short term solution, until VAG (i believe it will be Porsche as the brand) come in 2018? With what you have seen are VAG still coming in 2018 to RBR? I feel RBR have 2 genius in their ranks: Adrian & Mario, reminiscent of the MacLaren days... if only they had a bit more time. Apologies in advance for the long post, but I'm only doing your article justice. Your work is refreshing to say the least compared to much of the unedited 2 line articles that is so common of F1 reportage. 1. The first thing to remember in regards to Infiniti is that they intially arrived at RBR as a technical partner, which was early 2011 from memory, whilst the actual title sponsor/partnership didn't develop until late 2012 with 2013 being the first official Infiniti Red Bull Racing Renault. At this stage we must remember that although Red Bull have 2 racing teams they also have a very independent engineering arm: Red Bull Technology (RBT), who've succesfully provided equipment to not only their own teams but others too (Caterham for example ran their gearbox and suspension). As such it is RBT who have perhaps had the most significant role in developing the bond between the two. As I pointed out in the article this initially served the purpose of RBT/RBR/Infiniti developing the performance skewed variant of KERS we saw the team use. Meanwhile, behind the scenes they also worked toward their own goals for 2014's ERS. Now this is where it all gets rather messy as Renault having shed Enstone start to put their eggs in the RBR basket, perhaps allowing RBR to infiltrate their development too much. This means that parts of the powerunit that Renault should be good at developing are compromised as the development teams try to mesh, making RBR/RBT/Infiniti just as culpable in what has come to pass IMO. As the V8 regulations came to a close, it was clear that Renault didn't think they were getting the publicity they deserved from Red Bull's achievements, and rightly so, although the KERS was essentially theirs without the help of Renault to make EBD work I doubt they'd have had as much success. On top of this Infiniti seem to have come off quite well, for what is essentially a small investment compared to Renault. The thing with the Infiniti deal is that there is an air of subliminal marketing going on too, whilst the rear wing features their logo's most overlook the subtle colour change that went on with the livery. Previously having carried a blue scheme it suddenly took on the purple haze, to which in fairness they did make note of in the launch of the RB9 but has since gone unreferenced a bit like the Malboro logo still reasonating through the Scuderia's logo... Anyway I digress. When F1 moved to the PU's in 2014 the Renault was reportedly the most expensive on the grid (around 18m euros) but again, who knows what RBR were paying toward that cost with Infiniti likely picking a chunk of the cost to Renault and the rest likely leveraged as part of the technology alliance between RBT/RBR/Renault/Infiniti. The interesting thing from a sponsorship point of view is that RBR have become more and more active over the past few years, with what was once a car that simply donned the Red Bull logos becoming a vehicle for other advertisers. In terms of revenue many of the 'partners' that feature on the RB11 do so because it saves RBR/RBT money from their purchasing budget and usually creates bespoke products for them to use. In-turn space is given up on the car/merchandising etc BUT there is still a flow of money in Red Bull's direction which is then fed back into generating performance. For example Pepe Jeans have been providing team wear etc since 2010, having switched from Renault (surprise, surprise), I believe that PJ pay around $6-7m for the privilege of this. However, in 2016 this deal will be supersceded by Puma, who are fortifying their F1 position as they already have deals with Ferrari and Mercedes (although one may subside in favour of this). There can be no loyalty in these situations but either Puma made a better offer, the most likely scenario, or PJ don't think they were getting value for money any more. 2. They are risking very little IMO, any powerunit change, to another supplier, would cause complications to the chassis design team and probably weaken the car as a whole, negating the powerunit advantage. Whilst sticking with the Renault, or their version of it actually puts them in the box seat IF Ilmor's head, combustion chamber, injection system, Turbo etc is any good. 3. Yes there is some information they can learn, even with it being a year old Ferrari unit, however, STR are still another team and act as such, the crossover is not as large as it could be mainly down to the regulations, but they still act independently. The other thing is the buffer that another manufacturer puts in the way, the powerunits are still essentially the manufacturers and as such their technicians work on them. Remember that McLaren had a Merc unit year one, didn't help them a great deal. 4. The AVL chassis dynomometer thing has been doing the rounds for some time now, here's a piece I did back in June 2014 - http://www.somersf1.co.uk/2014/06/tech-rebuttal-red-bullstr-secret-test.html. For me that so called 'secret test' was AVL demonstrating how their equipment could benefit Red Bull. The problem for both Red Bull and Renault Sport is space, I've not been to Viry but by all accounts they have very little room left over, they even tore up a car park to build more dyno space in preparation for 2014 anyway and recently they've added another dyno too. 5. No, Cosworth as far as I'm aware are not involved, although that is not to say that they couldn't poach anyone who worked on the initial 2014 PU design and/or they couldn't hire Cosworth to consult on the project just as Mario Illien and his crew have. 7. VW aren't coming into F1 IMO, there was a possibility before the emissions scandal as Winterkorn craved it, however with him gone and the group reeling I think they'll have to forget F1 for now. After posting my response to number 4 I actually did some thinking and now I'm skeptical the fabled 'Building 9' is in proximity of the RBR factory. Having considered the impact the chassis dyno installation would have I came to the conclusion that planning permission may be needed in order to make the requisite building changes to deal with noise suppression and exhausting the heat generated. These changes would have increased floor space by 5000sq ft (just incase you care). However, it seems the acquisition of building 8 across the road put pay to the development. This clearly brings us to the nomination of 'building 9' but having looked through planning records the main factory in Bradbourne Drive is the only one to have had Red Bull planning submitted against it. So... does that blow the whole thing out of the water? Well no, I'm not a planning officer, so I don't know if they actually need to apply to make the changes I've mentioned, be it to building 8, or another site close by. Furthermore, what's to say said VTT/AVL rig hasn't been installed at Ilmor in Brixworth, as from a geographical point of view they're not that far away and as they're an engine builder they'd have the extraction/noise suppression facilities anyway. Anyway just thought I'd add that all into the mix. WoW! What a piece! I wish the fans of F1 would read more of your articles to better understand what has F1 become nowadays, to realize that the "good old times" are never coming back, and nothing is simple anymore...if it ever has been indeed. Thanks Matt! Even if RBR/Ilmor made/suggested significant changes the base engine block is likely to be same. Surely Renault own that IP. Would Renault allow RBR to use it as the basis for their own engine? As I have mentioned above the block is not the issue (in performance terms, however, for RBR in terms of time and making the grid in 2016 it would be if they designed a new one.. Who owns the IP when it's a joint venture? Furthermore there are elements of the current PU that RBR engineers designed, making IP claims fraught with danger. To me it seems that both have to concede that this has become a joint venture as soon as Red Bull became involved in supplying personnel and funding at Viry. That way each can supply each other what is needed and go their own ways. Thanks Matt for replying to my list, I know it’s comparable to Santa’s Christmas list. I am a little dismayed how little the F1 crowd know of RBR or as you have better mentioned it RBT/RBR/STR. Many whinge they are nothing more than a ‘fizzy’ drinks company and couldn’t care less if they leave, but as you have displayed they are an organisation which has been clever in its marketing and development of tech and drivers, which I believe has enraged the establishment – but this has achieved results in record time. 1. You mentioned the ERS that RBT has developed. Performance wise how does this compare to the ERS of MB, Ferrari, (I won’t mention Honda) and if there are other ERS by Williams in use etc. 2. The RBT Renault partnership with tech is extremely messy, not just with the KERs/ERS but also with the IP of Mario Illien and all the work RBR did with hiring extra engineers/programmers and sending them to Viry. Do you feel that as Renault lost engine contracts to Lotus and Caterham at the end of 2014, that RBR saw the opportunity as they were the sole engine deals Renault had, therefore RBR put them in a very difficult positions and dictating almost all the terms – well not quite as we have seen this year, but more so rushing development etc.? What else was Renault going to do if it didn’t like what RBR was demanding, pull out of F1? Unlikely. 3. RBR complex includes building 7 and the smaller rectangular one to the left of it (building 6?) which was going to be joint together in the proposed redevelopment (thanks for the link) and if I’m looking at street view correctly from 2015 also next door the light green former Sancell -Sensetsu (still can see the shadow of the Sancell Sansetsu mark on the building walls) building which is now got the navy RBR sign and separate white sign out front with Red Bull Racing building 8. This ‘Building 9’ has me a little intrigued. Could it be the building (the one you mention with the race bays) between T –Systems and UCC Coffee? I have noticed from your Google maps link that you can see the RBR staff out front and the RBR lorries parked around the side of this building, this is dated 2015. Or is it the Sensetsu –Building 8? It’s fairly large, surely big enough for the AVL rig? RBR should’ve built next to their wind tunnel in Bedford, plenty of room around it. 4. You mention RBR are also capable for the 2015 engines, as they have forced and rushed Renault to bring updates which have not been validated properly etc. It has been suggested that RBR does the software for its own engines, but STR get Renault to do the software. Do you know if this is true, as we saw the drivability of the RBR was terrible at the start of the year and the STR was beating them on the track, until RBR sorted the software? 5. Now I need you to look into your crystal ball Matt. What’s the likely hood of an RBR/Illmor engine for 2016? How do you see it performing? Will it be ready for the 1st test? Will it be grenading itself during the 2016 season like the current Renault unit? Is the fundamental flaw that Mario identified in the block design and can this flaw be masked or overcome with Mario’s recommendations? Will it outperform the Renault unit – this will be hard to gauge as the Renault engine will be in a weaker chassis at Louts. 6. And finally do any of the other teams (apart from RBR and Renault) have a say or can veto this engine program of RBR? Great to chat with someone who is close to this like you as the closet I get to the sport is one race a year. Ps. I’m glad I got you started as you have provided plenty of extra information which is worthy of a part II for your article. Indeed, first and foremost they are a drinks company but one that uses sport as a vehicle to market their product. RBR/STR/RBT are essentially engineering companies in their own right though, especially as RBT have customers outside of the RBR/STR wheel house. 1. It's important to remember that the MGU-K has a maximum release of 160bhp so no gains can really be made from the K and all of the manufacturers pretty much have this nailed. Therefore the gains are either made from the ICE which is where Ilmor came in (from what I understand their first iteration was marginal in terms of performance with the same 12 token spend of the Renault upgrade, however the next spend for 2016 was a different story with the changes compounding a larger swing, in the magnitude of 40-50bhp). The most important component in the whole PU (for me) is the the MGUH, which needs to recover as much energy as possible, owing to the K only being able to store 2mj's but is able to use 4mj's per lap. Furthermore, people forget that energy can be sent directly from the H to the K and visa versa without being stored and this is where huge gains can be made if mapped properly and the control electronics are suitable. Get it wrong and you can end up in a world of thermal issues too. Now the other thing that is often forgotten is temperature, as we know RBR cars are always somewhat skinny whilst STR are a little more forgiving (although I've been super impressed with them since Key took over). The PU's operate better in certain conditions, it's simply a case of heatsoak and reminds me of goldilocks, get them too hot and they lose performance, too cold they lose performance.. You need to be right in the sweet spot and as RBR aren't as compromising as STR I think that's why we've seen STR come to the fore this season. 4. Mapping and software etc will be done in combination with RBR/STR engineers and the Renault engineers. How aggressive they choose to be in this regard will be down to the individuals working on them. 5. The options are severely limited in any case, Merc is off the table, Ferrari will supply them but only with a 2015 PU, it seems Ron has vetoed a Honda PU so it's either reconcile with Renault or take a year on the sidelines. The format of that reconciliation is clearly going to make things moving forward extremely interesting. Either they continue to work together on the Renault development path, knowing that shortly that Renault will have their own 'works' team and not get such preferable treatement, or they have a bi-partisan agreement where they share the genesis PU but go their seperate development ways from 2016 inwards with Ilmor helping to develop the RBR unit. Thanks for this clarifying article Matt. I think the main question remaining is whether RBR and Illien can pull this off for 2016. Perhaps that is why they were desperately trying to find another supplier for 2016. Indeed, it appears that Ferrari have once again intimated they'll supply RBR but only with a 2015 specification. STR are essentially going to have to take the 15 unit as with limited resources they cannot wait for the wheels of motion to turn. As for RBR/Ilmor being ready it's going to be tight unless they already have the wheels in motion too. Thanks for the insight again. Are Ferrari looking over their shoulder now there are rumors of the RBR/Illmor engine? Is Ferrari trying to keep RBR in its place and try and control it with this pre planned 12th hour offer? No matter how skilled and resources RBR are, it is far too late to design the RB12 around PU they have never seen before. If RBR go the Ferrari option, this would make F1 boring unlike the reality of having a mutant version of the Renault engine in F1 next year. In terms of using a Ferrari PU at this late stage I think it would be a backs to the wall job, however using a Ferrari PU also means using the chargecooler between the V setup and with that the performance window of the radiators is pretty fixed, which should make planning an easier task. Whilst on that topic it'll be interesting to see if Ferrari retain their sidepod/radiator setup next season and who else copies it. Well renault were impressed by illien works? it seems you are badly informed , renault lost lot of time when they tested illien solutions which were worst, a draw back ! As I have stated the original Ilmor head designed in tandem with Renault that would have used the 12 tokens was comparable in performance. Yes it would have taken a limited amount of Renaults time to assess this but I know if I was being given another option is at least listen. Illien/Ilmor are not idiots after all.. Furthermore, as I understand it, the Ilmor design set about setting up another pathway for the 2016 spend which is not possible with the Renault version (without backpedalling) and would improve performance to the requisite targets. Its seems that Ferrari are trying to keep a handle on RBR, is there something Ferrari knows about the RBR/Illmor engine that others do not which is making them a tad nervous? I totally understand Matt what your saying about the packaging of the Ferrari PU as RBR don't have to accommodate the air to air charge coolers in each side pod (which Newey would love) as this would save a significant amount of time. But for RBR & Illmor to get bare Ferrari engines or 2015 engine and assess/redesign the their own bolt ons to the block is way too late in the day. Having said RBR can have smaller side pods with the Ferrari engine, doesn't quite add up. As if we look at the Ferrari this year its side pods are noticeably larger than RBR's and significantly longer, which I'm sure James Allison has not designed for pure aesthetics. Other befenits would include having Shell as the fuel supplier. Macchionne Is probably not aware how dependent Renault and RBR are on each other moving forward for 2016 and beyond. I would like to see it made more interesting with a new engine manufacture next year and one which could possibly outperform its originator. RBR/Illmor have had the best part of a year to study and develop the Renault engine so they are a fair way down the path of this project. A deal like that to share the PU IP, wouldn't it set a precedent for the likes of McLaren and Honda? Of course, not sure how it would help McLaren/Honda though as McLaren have been kept at arms length in terms of development of the PU. There has been talk a while ago that RBR were doing some excavation, is this a subterranean building? Unlikely. Any chance you could head down there and do some further investigation? Matt have you got any further info regarding the RBR/Illmor engine - re the turbo packaging? Is this setup likely to have the turbo hanging of the back of the engine above the gearbox as the current Renault design has with the K in the V of engine? Split turbo? What about charge cooling? Air to air, water to air? Why hasn't someone decided to reverse the cylinder heads, turbo in the V of engine with charge cooled air being fed via manifolds to the side of the engine? This is what Audi do in WEC.